Some Visual Catch-Up - Ramblings of Mad Shutterbug & the Border Collie Bros. 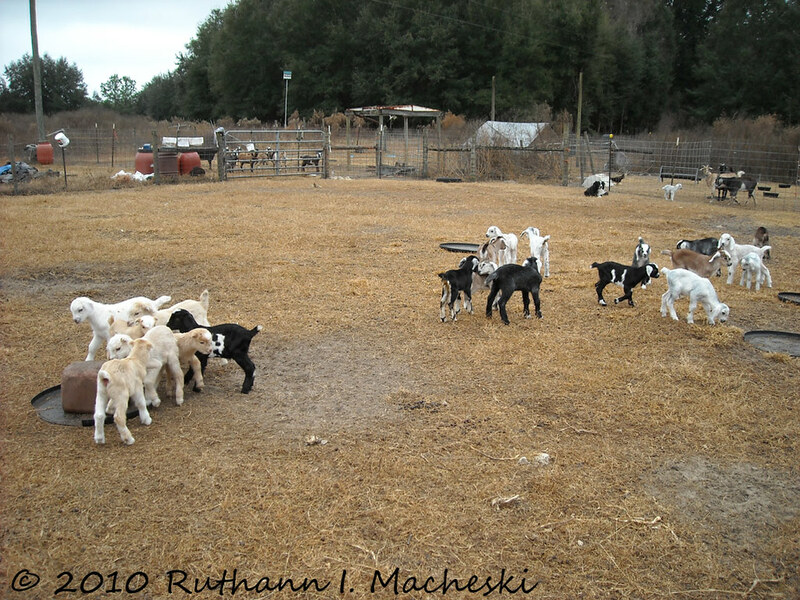 I nattered on a bit last week about how the Goats here on teh Ranch started the Winter Kidding. Here are some highlights. However, not too many photos. GiGi got her name because she was one of our bottle-kids (her doe either couldn't or wouldn't so we did), and she was one Greedy Gut kid while bottle feeding. Last year, her first pregnancy she had a still-born. This year, twins, live births. Unfortunately, she also had them right before sundown on what proved to be one of our coldest nights, with temps into the high teens F (-10 or more C). These two, her kids, are the ones who cold-stressed and died. - Put GiGi into holding pen. - Put new kids into holding pen right after GiGi, before she even turned around. - GiGi turned around and said "O Hai, There you are. I've been looking for you, kids!" Well, 21 or so in this picture. About half the kidding so far. North and west faces of the pole barn, dressed for winter by putting up wind breaks over combination panels fastened to the poles. 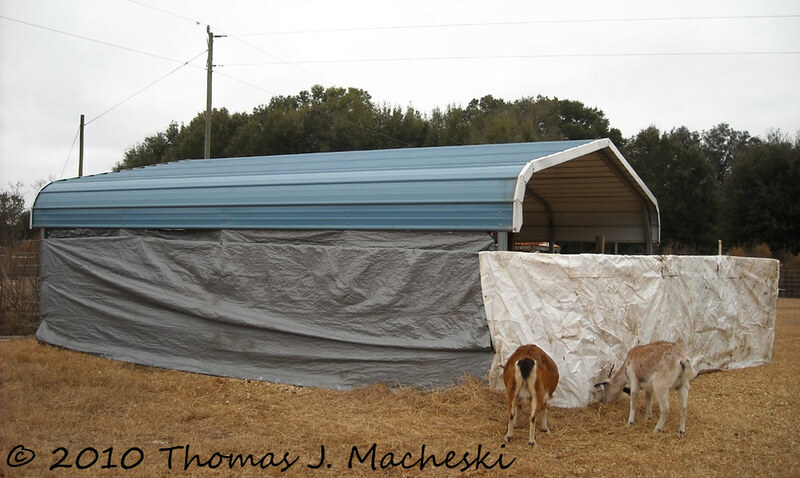 Come Spring and warmer weather, we'll open this back up for ventilation. Right now, with 40 (plus or minus) new kids, need the shelter. 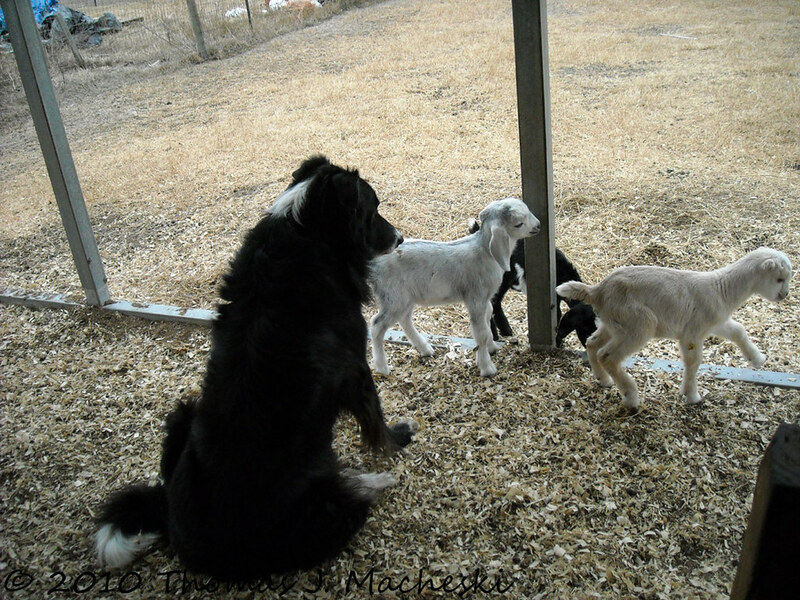 Houdini Border Collie Bro memorising new members of the herd. 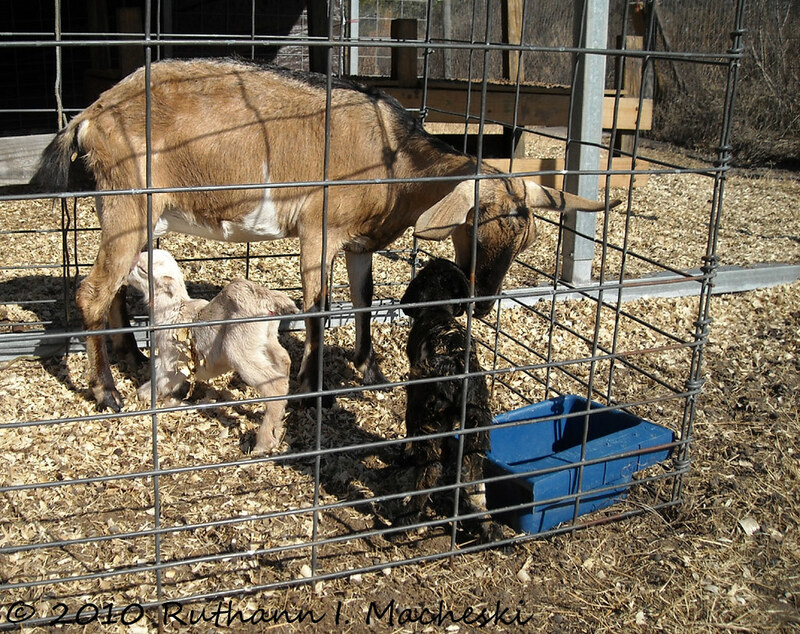 In the pic with Houdini, one of the goats has big, floppy ears and one has tiny, upright ears. Looks like facial structure differences, too. What are the names of these different types of goats, please? 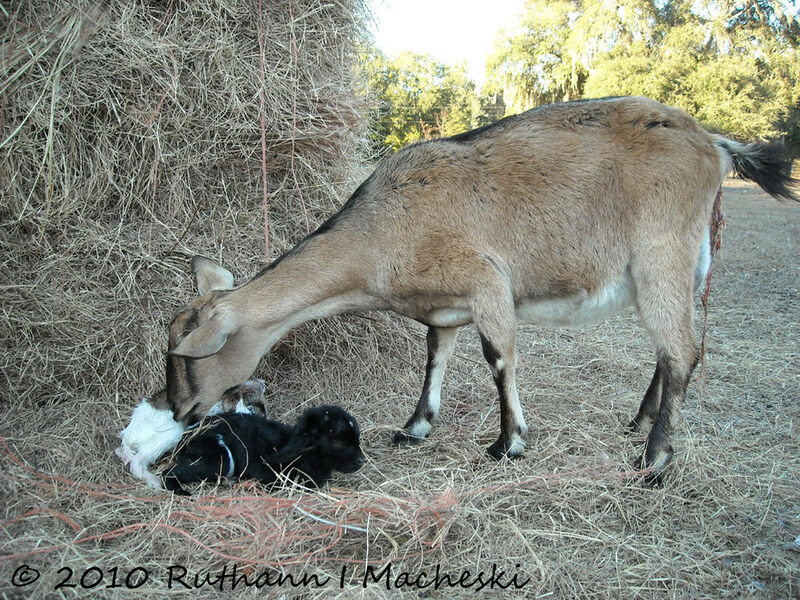 The goat with tiny, upright ears is part La Mancha; that goats father is a La Mancha, and they are from Spain. Mostly. The goat with big floppy ears is a Nubian. They are known for their big floppy ears, and they are from Africa. Mostly. Oh how adorable! 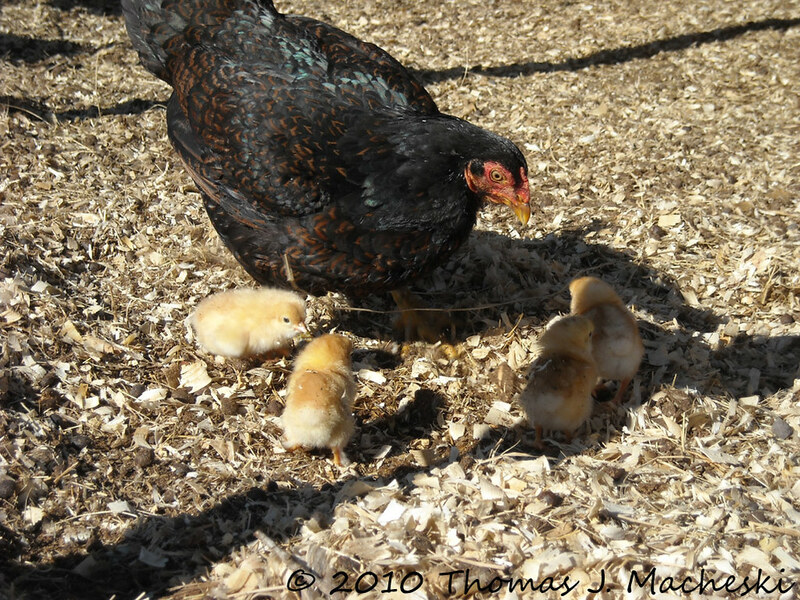 And chicks in winter? I hope she can raise them. At least no snow down there! Houdini so cute checking out the new kids!